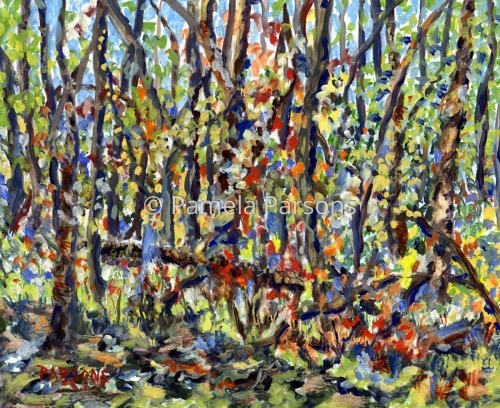 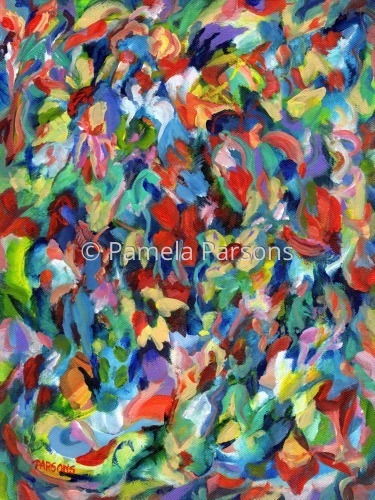 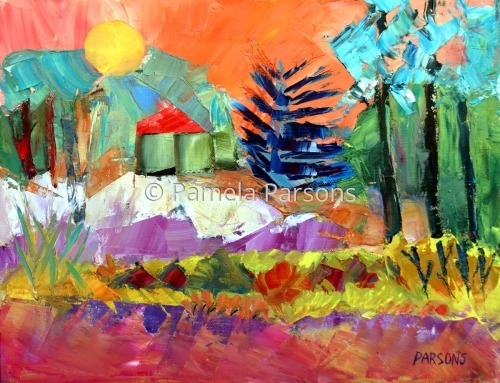 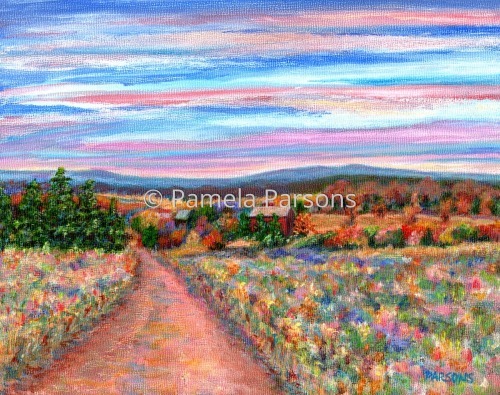 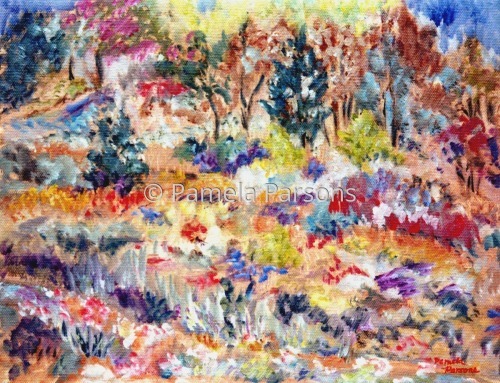 Print from an original impressionist oil painting of the woods in Bedminster, Bucks County, Pennsylvania. 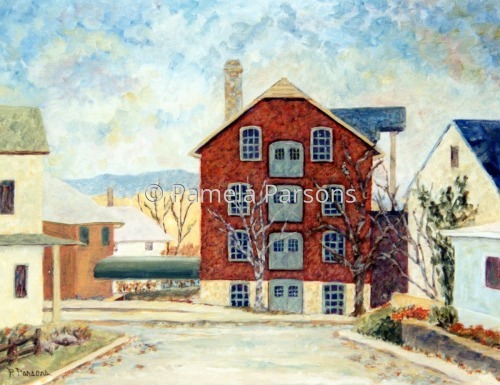 5" x 6.25"10" x 12.25"15" x 18.5"
Print from oil painting of the historic agricultural works site in Doylestown, Bucks County, Pennsylvania. 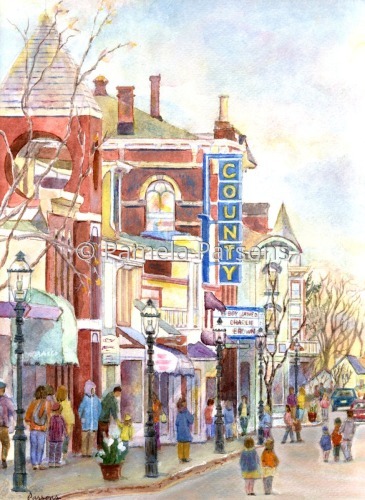 5" x 6.5"9" x 11.75"13" x 17"
Watercolor painting of the historic County Theatre in Doylestown, Bucks County, Pennsylvania. 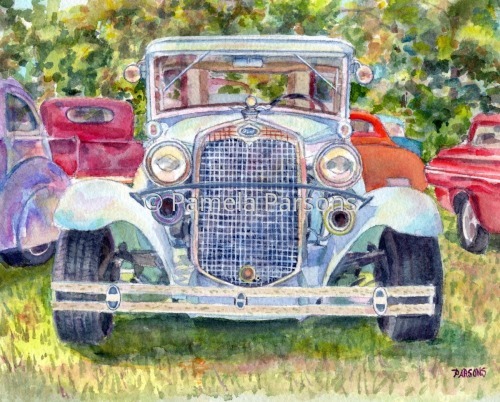 Exhibited and sold at The Doylestown Arts Festival. 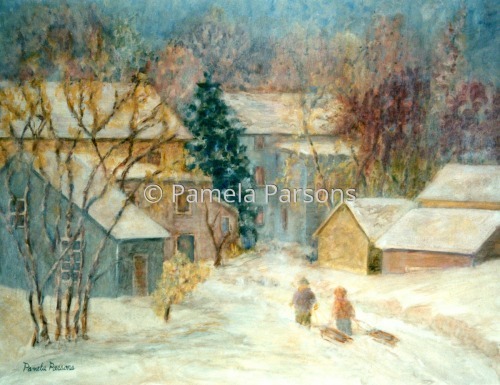 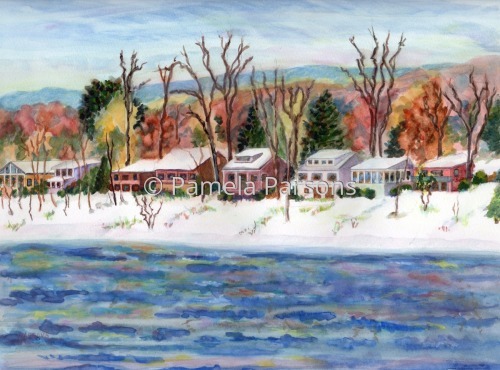 Impressionist Oil on canvas painting of the village of Carversville, Bucks County after a snowstorm. 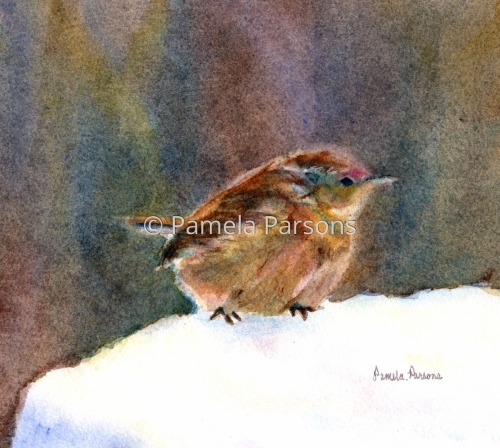 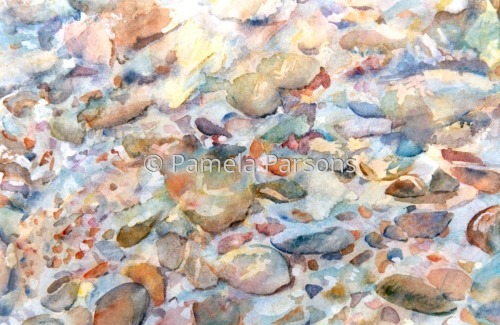 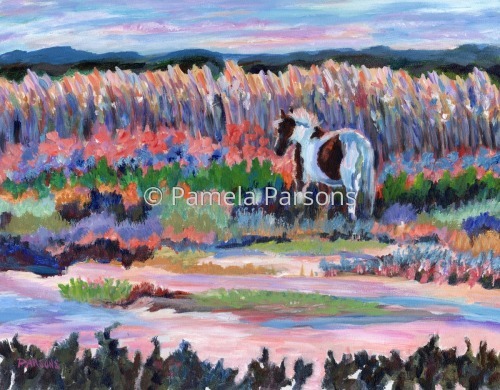 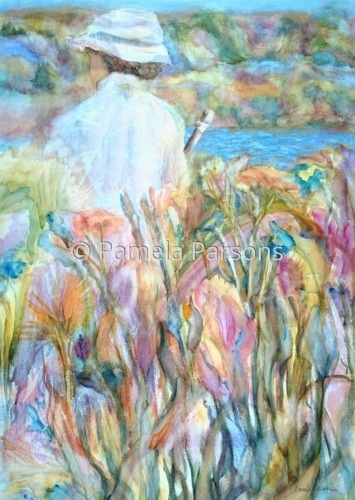 Exhibited and sold at the Phillips Mill Juried Exhibition. 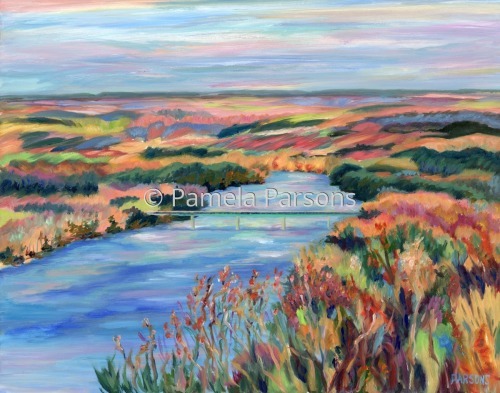 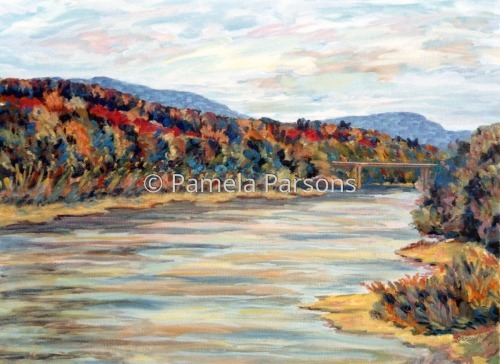 5" x 6.5"8" x 10.25"11" x 14.25"14" x 18.25"
Oil painting of the Delaware River in Autumn. 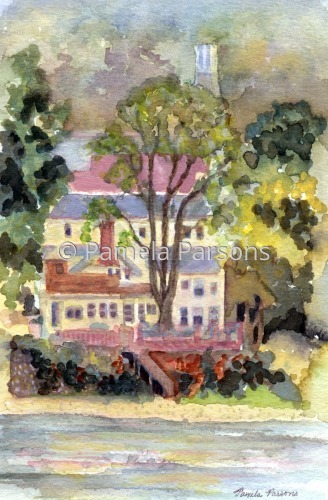 5" x 6.5"7" x 9"9" x 11.75"11" x 14.25"13" x 17"
Watercolor inspired by the gardens by the water in Bucks County and New England. 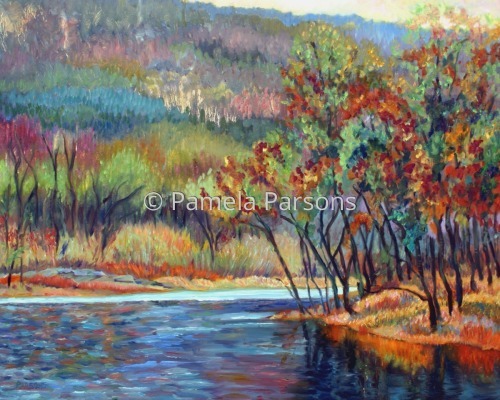 7" x 5"12.75" x 9"18.25" x 13"24" x 17"29.5" x 21"33.25" x 23.75"
This is an impressionist oil painting of an early autumn scene at the Pt. 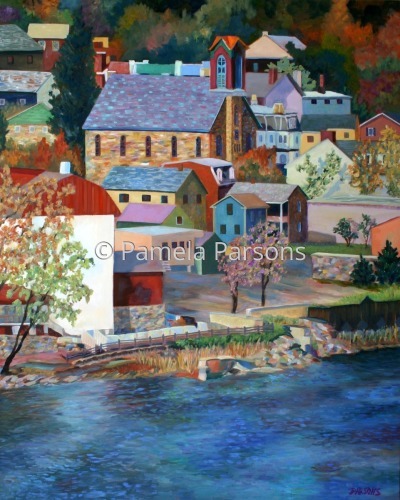 Pleasant Lock on the Delaware Canal in beautiful Bucks County, Pennsylvania. 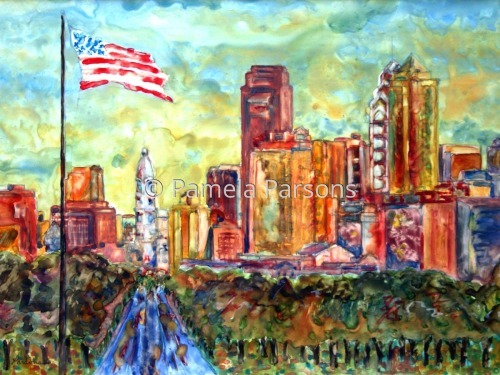 5" x 6.25"10" x 12.5"15" x 18.75"
Print from original watercolor of the city of Philadelphia at sunset. 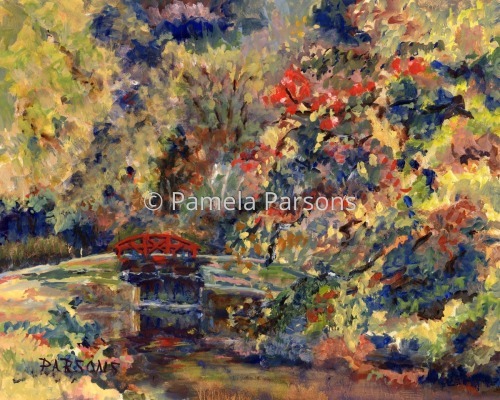 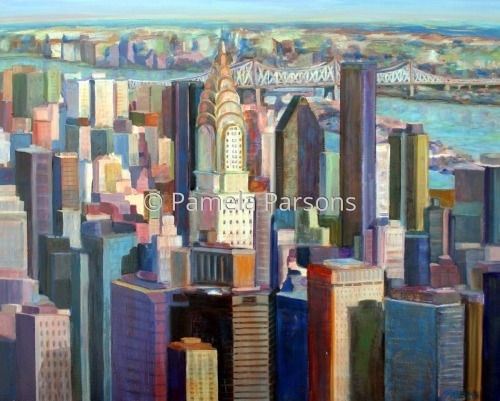 This print was included in the fall issue of Philadelphia Stories Literary Magazine. 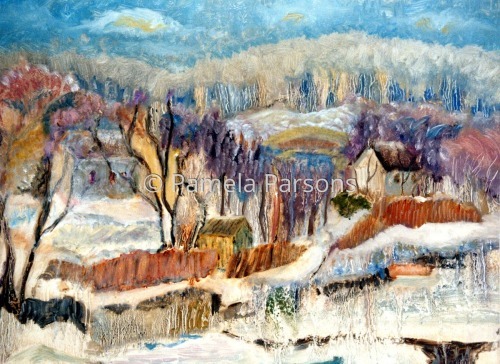 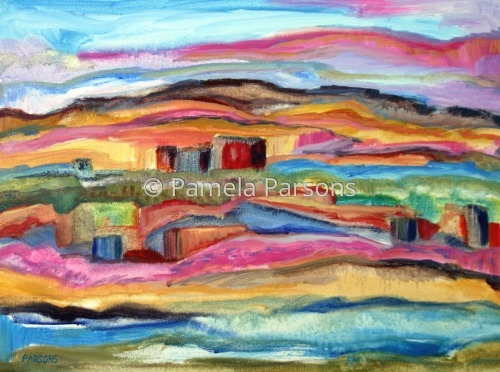 5" x 6.75"6" x 8"7" x 9.25"8" x 10.75"9" x 12"11.75" x 15.5"
This semi abstract expressionist Oil painting was inspired by the villages along the Delaware River and Canal in Pennsylvania and New Jersey in Winter. 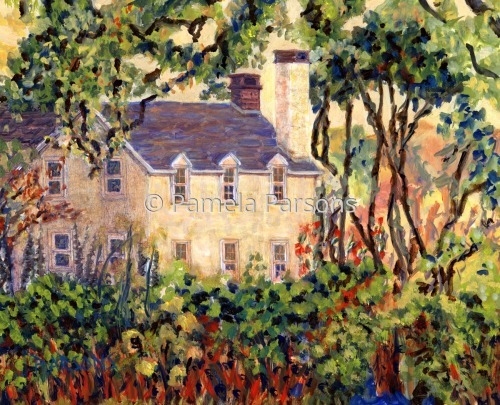 5" x 7"8" x 11"11" x 15"14" x 19.25"
This is a palette knife oil painting of scene from Sellersville, in Bucks County, Pennsylvania. 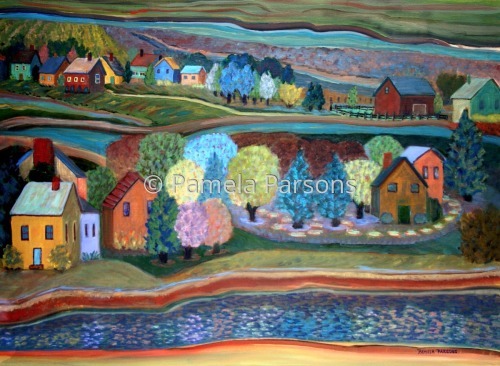 5" x 6.5"6" x 7.75"7" x 9.25"8" x 10.5"9" x 11.75"11.75" x 15.25"
Oil on Canvas painting inspired by the villages and towns along the Delaware River in Pennsylvania and New Jersey. 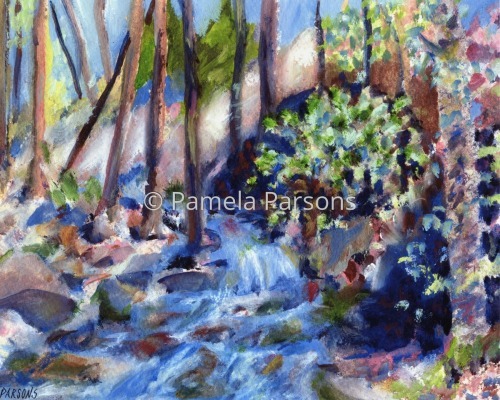 Bushkill Falls started as a water based ink monotype and was finished with oil paint. 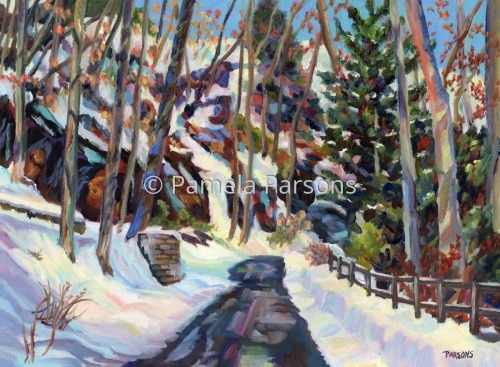 The beautiful Bushkill Falls are in the Pocono Mountains of Pennsylvania. 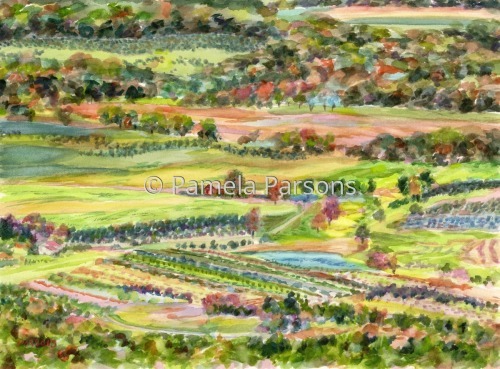 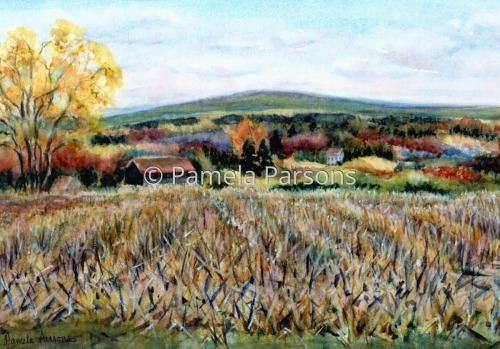 Haycock Mountain is a watercolor painting of this mountain, rural village, farm and cornfield in Autumn in Bedminster, Bucks County, Pennsylvania. 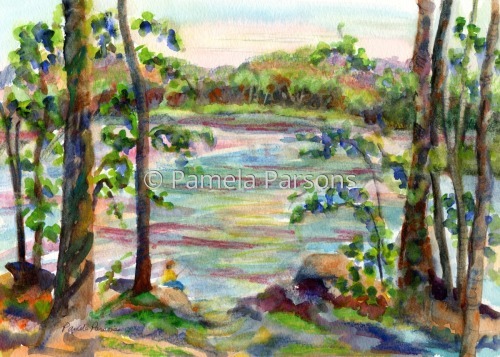 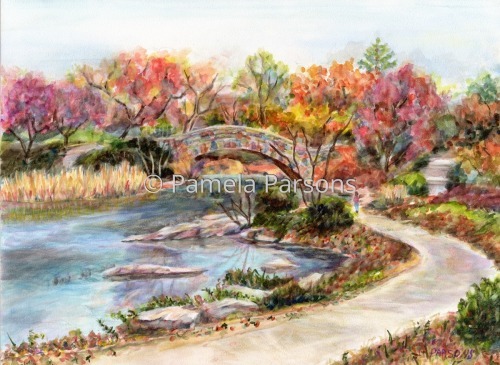 5" x 7.25"9" x 13"13" x 18.5"17" x 24.25"
9" x 6"18" x 12"26" x 17"
Retreat at Tyler Park is an oil painting of this quiet retreat found in this beautiful park in Newtown, Bucks County, Pennsylvania.